We used the Double Stuf Oreos. For the marshmallows, we always buy the package of colored marshmallows but you can use plain white ones, just your preference. 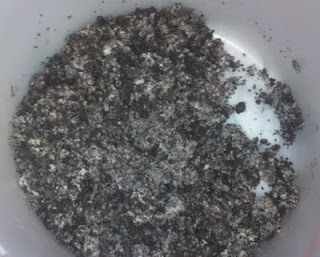 First thing you will need to do is crush up the Oreo cookies until they are crumbs. I let my hubby do this part while I mix up the rest. 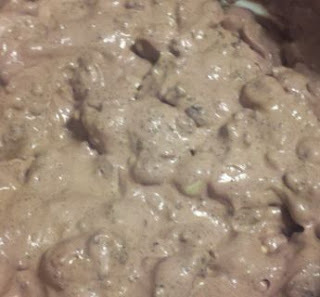 In a large bowl, pour in the pudding mix and milk. Whisk them together for 1 1/2-2 minutes. 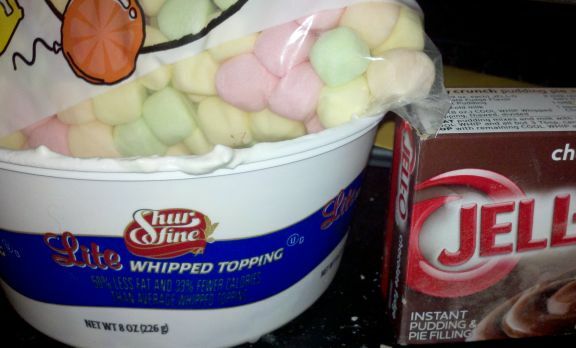 Stir in the Cool whip and marshmallows, and by this time, the Oreos should be crushed. Stir the crumbly cookies in too. That is it. 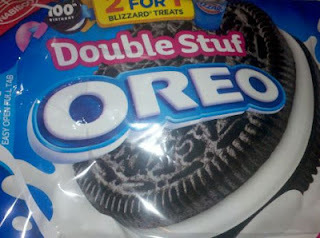 My boys like to dip Oreo cookies into the fluff and use it as a dip but my darling hubby just eats this stuff by the spoonful. Either way is acceptable. It is soooo good. Hope you enjoy it with your family too. Preheat your oven to 450 degrees. Spray a cookie sheet with cooking spray. Place some Olive oil in a bowl. 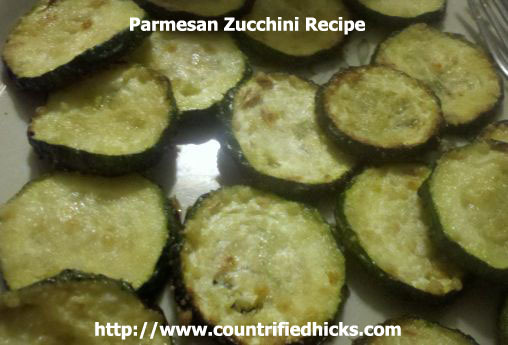 Slice the zucchini into thin round slices. Dip the zucchini slices into the oil and coat thoroughly. Place onto cookie sheet, sprinkle with sea salt and Parmesan. Bake for 27 minutes. These come out tasting almost like a potato chip. We all loved these and munched on them while watching the "Hunger Games". Even my 8 year old who hates zucchini liked these. I think we will start doing this once a week. Yummy! This is Part 3 of our Trip to Vegas. Click here for Part 1 and here for Part 2. These next photos are from our trip back home. We left Vegas on February 10th. We went by the Hoover Dam and the Grand Canyon on our way home. We arrived back in Oklahoma on February 11th. We were gone for exactly a week and had a wonderful time. We missed my babe and were so glad to see him. Yes, I realize that this is just 3 different pictures of the Rocky Mountains but they are so breath-takingly beautiful. 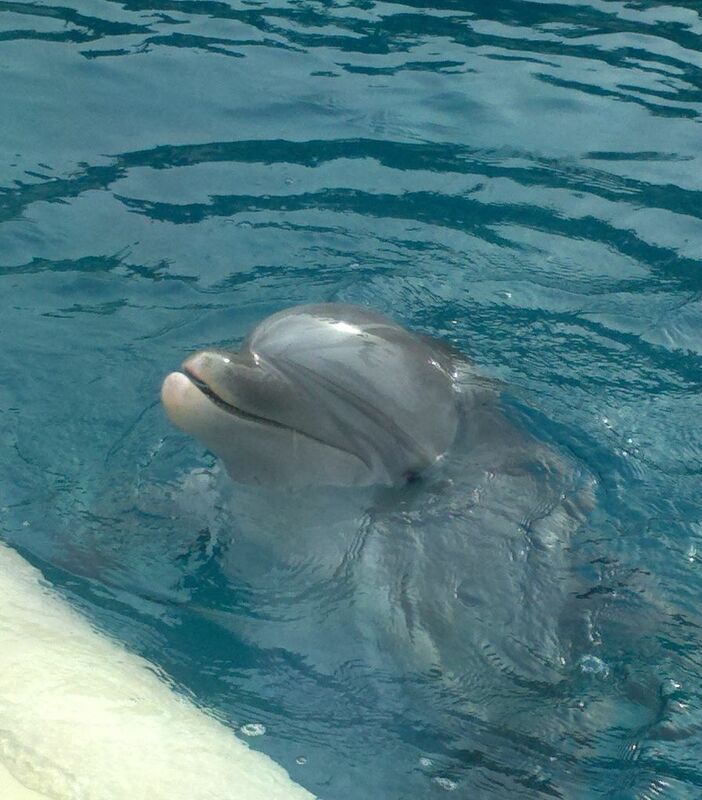 It was our first time to see these for real and were in awe of them. It just another way we see God's Hands in our world. Why do I not have any photos of the Grand Canyon or Hoover Dam you may ask? Because I was SUPER sick on the way home. My stomach was hurting so bad I could barely drive. I wanted to just be in a fetal position and moaning in a corner but I had to drive instead. 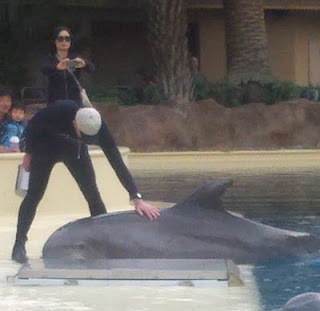 This is how bad I was hurting...at the time, the Grand Canyon and Hoover Dam did not impress me. I think my exact words were "It's just a big hole in the ground" about the Grand Canyon. Please do not write me hate mail. The boys were impressed and loved seeing them. I was just very cranky and miserable and hope to return someday to get to enjoy the beauty of them for real. 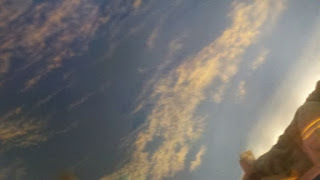 We left from home on Feb. 4, 2012. 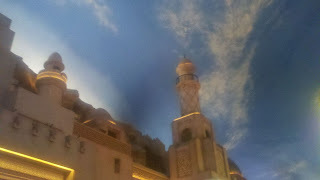 In the blog post earlier, I shared about our first 2 days in Vegas. 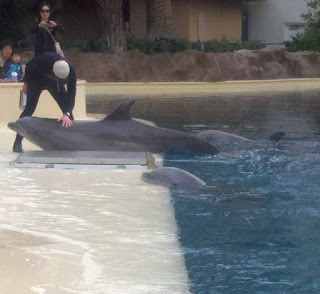 Here is what we did on day 3 in Vegas (February 7th), we went to Sigfried & Roy's Dolphin Paradise at the Mirage Hotel. 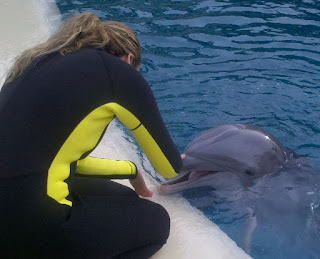 It was so cool! 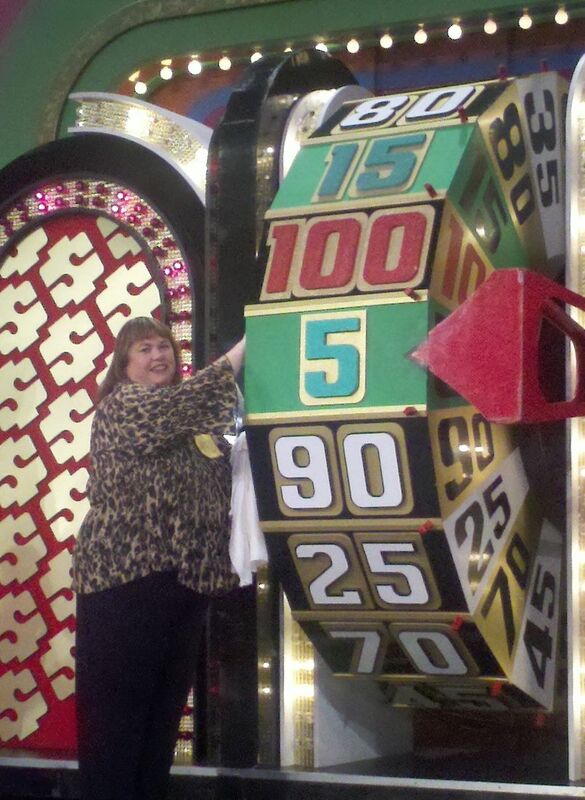 I think one of the best things about the attractions is getting to visit the various hotels/casinos. We are fans of CSI and love going and seeing places that we seen on TV. I did not use zoom on my camera. This is actually how close we got to sit and see the dolphins. They allowed us to sit on the wall and if I stretched out my hand, I could touch them. The boys loved this. Especially Brandon because he wants to be a Marine Biologist. This is the Luxor hotel/casino. 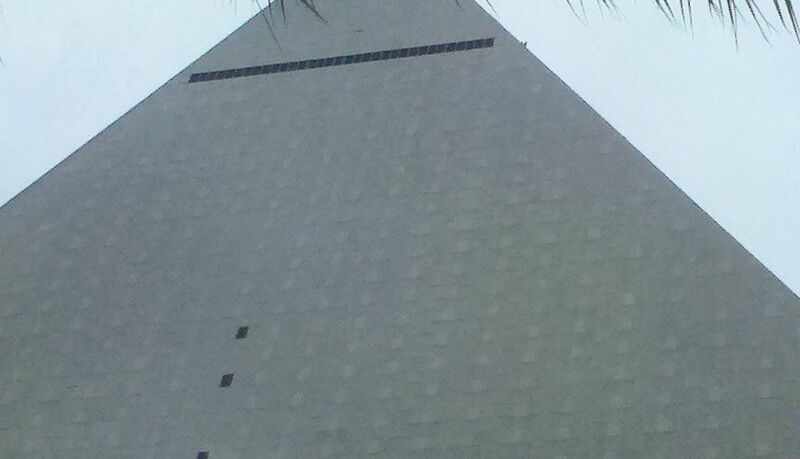 I love how it looks like a giant pyramid. 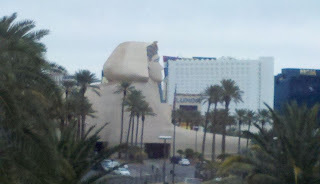 When we went by it on the monorail, it looked HUGE. 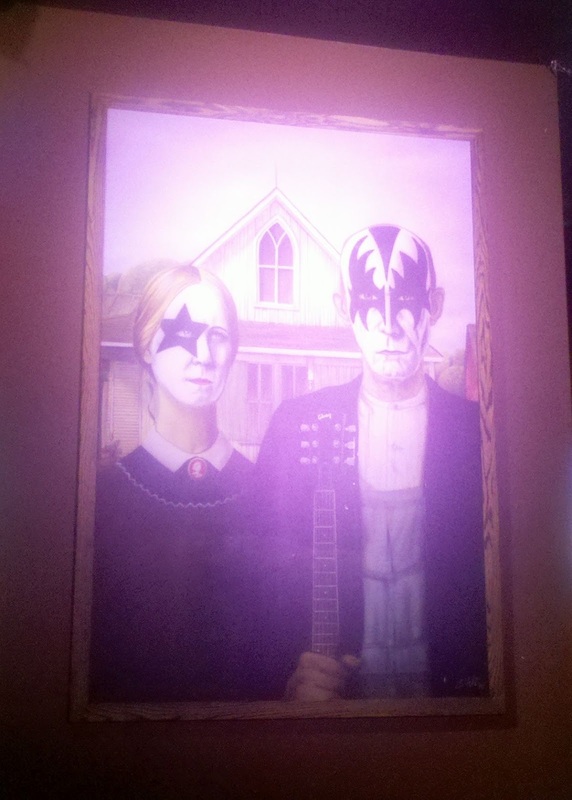 Cool picture in "Rock and Rita's". One of the restaurants in Circus Circus is called "Rock & Rita's". They have the neatest pictures hanging up but I think the one above cracked us up the most. Views while we were on the Monorail. Here is another view of what we saw while riding the Monorail. This was our first time on anything like this. We were excited! 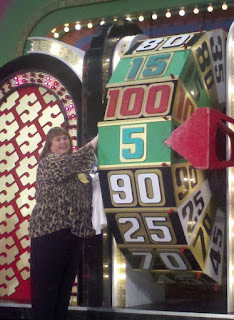 The next day (February 8th) was my day to be on the "Price is Right Live" at Bally's hotel/casino. I had a great booth and it was LOTS of fun. I had no idea that Joey from NSYNC was the host. He was funny. 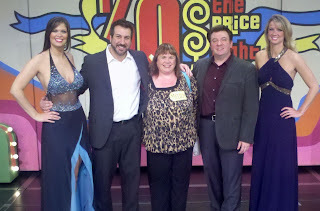 Getting ready to spin the "Big Wheel"
Me with Joey Fontaine, the Showcase girls and the announcer. 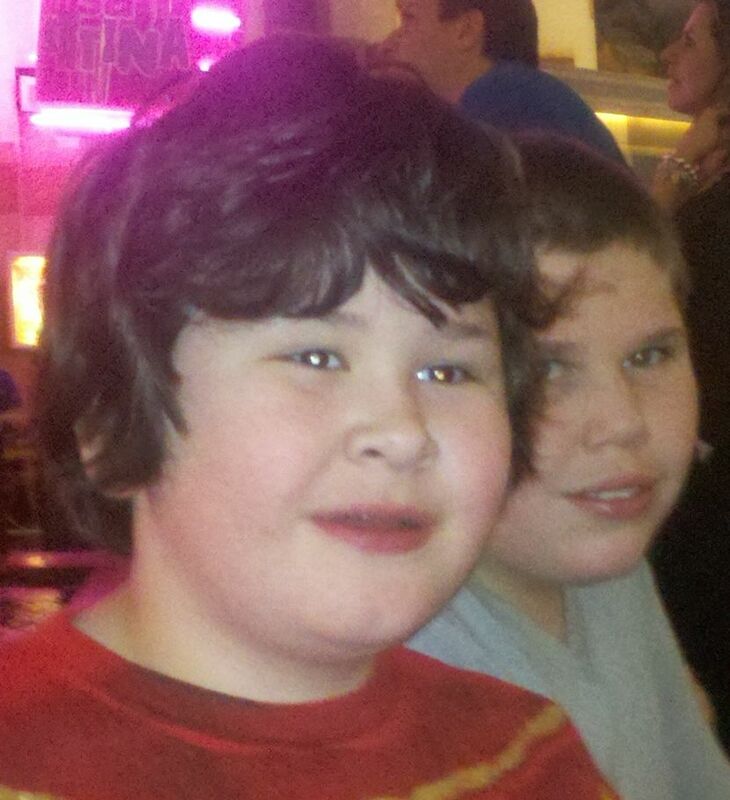 That evening the boys and I went to Adventure Dome (again) inside Circus Circus. It is an amusement park with an indoor roller coaster and a ton of other rides. Ronny's favorite ride is the 4D theater. It is FUN! Another thing we did EVERY DAY was go to the Circus Circus area and watch the circus performers and play the carnival type games. At the beginning of the year, with my MS just beginning to rear up its ugly head again, my very sweet hubby and I started talking about the future. I knew that before too long, there would be a very real possibility that our life would be changing a lot due to my health and MS. It was decided that the boys and I would take a trip to remember. I wanted the boys to be able to look back and remember Momma before she was in a wheelchair, etc. A trip that they could hold onto for a life time. So, while my hubby stayed home and watched the farm and animals, the boys and I rented a car and headed to Vegas. We left from Ft. Smith, AR on February 4, 2012 and headed off. We stopped to spend the night in Alburquerque, NM on the way there and arrived in Las Vegas on February 5th. We stayed at Circus Circus. The boys were captivated by all the sites! This is the CEILING inside Planet Hollywood Hotel. 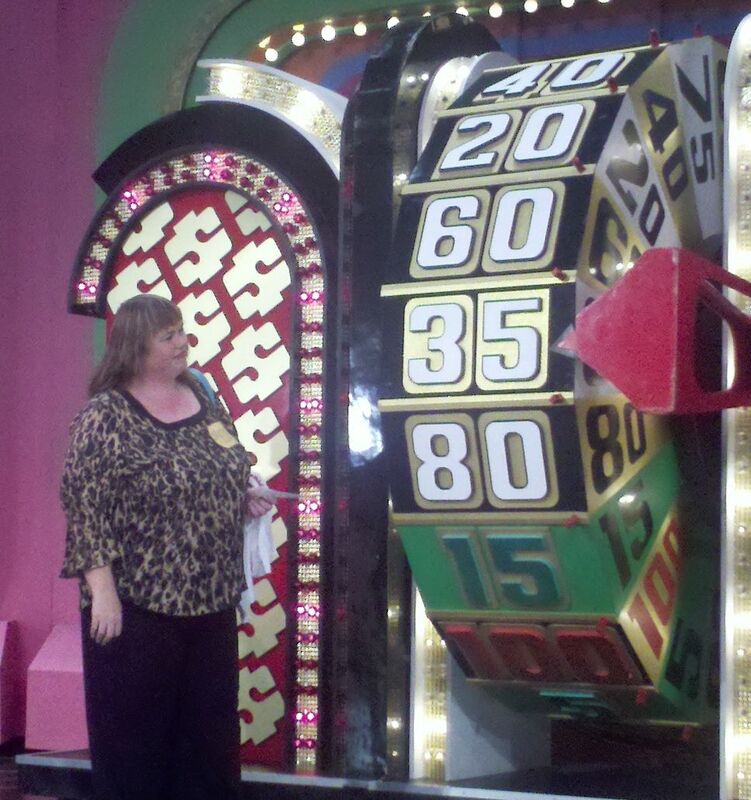 This was also inside Planet Hollywood hotel in the area of the theater where the Pet Show was. Right next to the theater. A stripper bar. Nice, not! This is RIGHT next to the theater we are going to. Not only that but there is a half dressed "woman" standing out front offering to take pictures with people. She asked my 14 year old if he wanted to take a picture with her and he almost died of embarrassment. 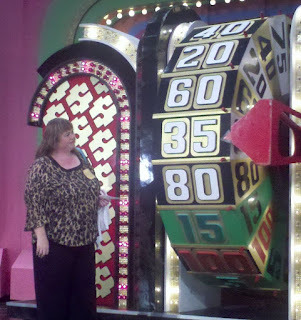 Then while we were in line for the show, a "woman" from the stripper bar came and passed out half priced drink coupons. She told me the boys were welcome to come inside there too because they serve virgin drinks too. Needless to say, we did not go but I gave the coupons away when I got back home. This lady FREE HANDS the coolest signs. This is one she is making for my hubby. 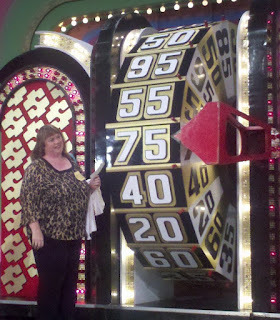 Inside of Circus Circus, this lady was set up to draw names by free hand. Man, was she good. 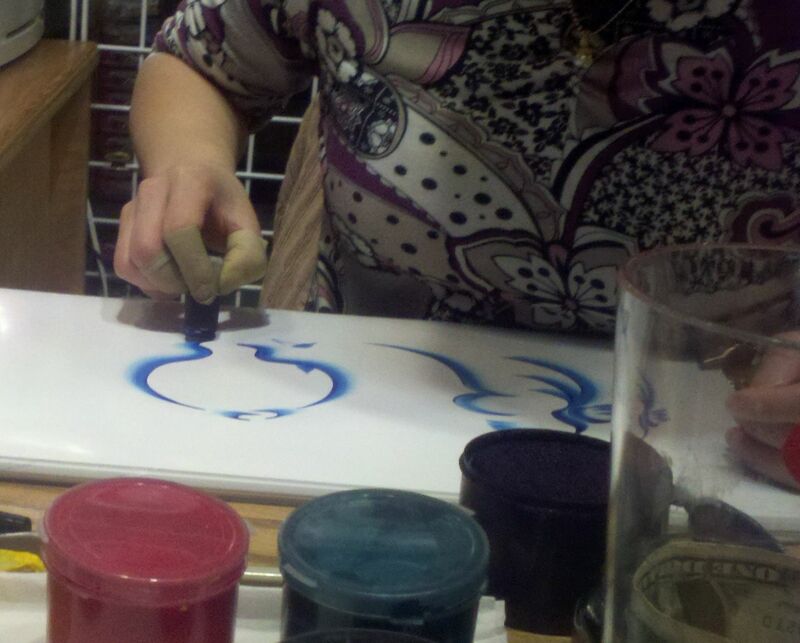 The above picture she is drawing my hubbies name. The picture below is the finished product. I watched this lady do this from start to finish and it took her less than 5 minutes. I couldn't do that well in 5 days. It was amazing and only cost $6. Amazing, huh? I will show pictures tomorrow from our 2nd day there. Hope you enjoy the pictures and our story. Life with Multiple Sclerosis (MS) is not fun nor is it easy. Are there others out there worse off than me? You betcha! This is not a post to whine and complain, it is just to share with you some of the things I go through because of MS.
1. Chronic pain. Yes, I have pain EVERY single day. My husband is always telling me I am the toughest person he knows. I don’t believe it. I am not tough; far from it. I feel like all I do is complain or whine. I have trouble sleeping because of the pain. I have pain in my arms, legs and feet primarily. I have pains that come and go; some that never go away; burning pain; stabbing pain; throbbing pain and dull pain. 2. Vitamins (and lots of them). I currently take Fiber (sluggish bowels ever since I was diagnosed); 1700 IU of Vitamin D; 1130mg Calcium; 8500 IU Vitamin A; 1100 mg of Vitamin C; 35 IU of Vitamin E; 5 mg Vitamin B6; 255 mg Selenium; 1000 mg fish oil; 250 mg Chromium; and a multi-vitamin. There are several other vitamins that are recommended but I can only buy so much at a time. 3. Foot Drop. This is where you can’t really lift the front part of your foot. When this happens to me (which occurs at least once a week), I just kind of swing my leg around. Keeps me from falling as much. 4. Fatigue. Unless you have MS, you just don’t get it. I suffer from unimaginable fatigue. It isn’t just I worked all day and I’m bushed. I do nothing all day long and still need naps. I get so tired I cry because I’m tired. I am so tired that I can’t function a great deal of the time. I am sure part of the reason is lack of sleep. I toss and turn and wake up at least 10 times a night due to pain, etc. 5. Urinary, digestive and bowel problems. Nuf said. 6. Leg and arm pain. There are times that I feel like a screw driver is stuck through my muscles of my right arm or my right leg. It is usually sudden and can stay for 5 minutes or 5 days. 7. Feet pain. For the past 2-3 weeks, it feels like I am walking on nails or that nails are pushed up through the bottom of my feet. This pain is nearly constant. On top of this, at least once a day, I get a sharp sudden pain in one of my feet like I just stepped on a sharp piece of glass and it is deep inside my toe. This often happens when I am on the bed and only when I push on the area that is hurting will the pain let up. Or I get a pain along my toe nails that feels like someone just shoved a toothpick under my nail. Sounds fun, huh? 8. Balance issues. If you should see me out walking (which you won’t, I do not get out much anymore) half the time you would probably think I was drunk. I am always walking into walls. 9. Depression. I get so depressed at times it is scary. I hate it. I have a great husband and great kids. I have no reason to be so sad but I can’t control the feelings. 10. Cognitive issues. This one probably bugs me the most. I used to be the most organized person in the world. I could remember pretty much everything and could multi-task like no other. Now,….please! I have memory issues. I can’t drive alone anymore. I will forget where I am going. Get lost in my own town. Get scared. Not know where I am even at. I get confused over the littlest things. I hold a Bachelor’s degree and now I have trouble putting thoughts together, spelling, etc. 11. Speech issues: This is one of the more embarrassing. I get to stuttering a lot now. I will try to say something and I am like a broken record and get “stuck” on one word and repeat it 4-5 times. I may try to say one word and I say a completely different word. I may have trouble forming sentences correctly. I try to say them but the words get rearranged by the time they come out of my mouth. 12. Swallowing difficulties. There are times I can’t swallow. Lots of the times, I do not even have anything in my mouth. It is just like my body has forgotten how to swallow. When it happens I almost feel like I am choking or drowning. It is scary. One of my biggest complaints is people who say things like “Oh, I knew someone with MS and they didn’t’ have anything like that. Are you sure you have it?” Ugh! MS is not the same for everyone. Different people have different symptoms. Do you know there are over 70 different symptoms with MS? Click here or here to read more. If you know someone who suffers from MS, be there for them. Please do not say “well, get some rest and you’ll feel better” or “hope you feel better soon”. It is not like a cold. It is not going to go away. There are good days and bad days but it is an incurable disease. Be sympathetic. 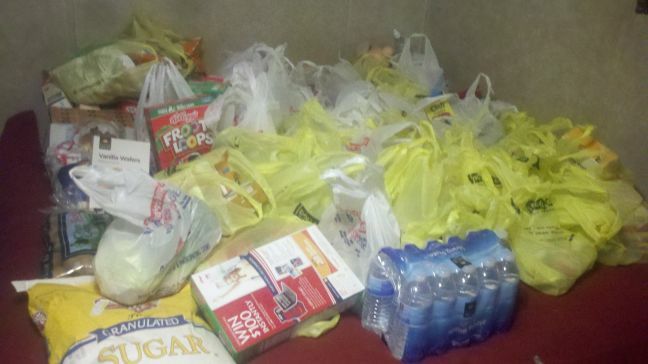 Help out when you can by cooking a meal, doing some laundry or just listening to them. Let them know they are not worthless; they are still the same person. Thanks for letting me share about this awful disease. If you would like to read about my other Health Issues, you can do so here. Would you like to be "The Best Mom in the Whole World"? Or at least be her for about 15 minutes? Then set this fun activity up for your kids. 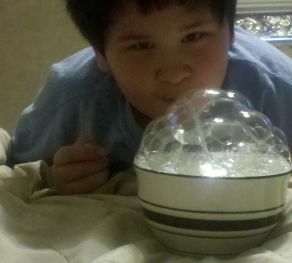 All it takes is a bit of dish soap, a bowl and a straw. 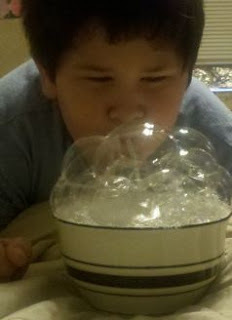 Fill a deep bowl with water (up to about 1 1/2" from the top. Then add a drop or two of dish soap. Hand your child a straw and tell them to have FUN! You can see by the photos that it was a hit at my house. Even my 14 year old son joined in. Want something different to fix for your family for supper? 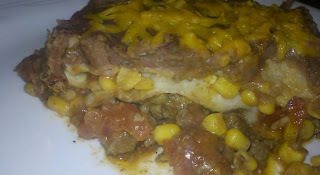 How about a Mexican Lasagna? Our family loves it and it is just different enough. Turn on the oven to 350 and let it preheat while you "assemble" the lasagna. Cook the beef and onion together in a skillet. 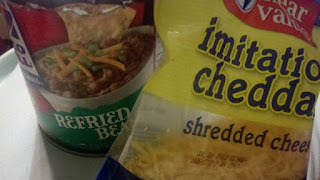 Add in the water and taco seasoning and cook it according to the seasoning directions. Once it is ready, stir in the tomatoes and corn. In a regular sized cake pan (9x13), spray it with cooking spray and then place 2 tortillas in it. Then top with half of the meat mixture and then a third of the can of beans, and then about 1/2 c. of cheese. Repeat the layers. Use the rest of the beans for the top layer and then top with cheese. Bake for 30 minutes. This is a very filling meal. 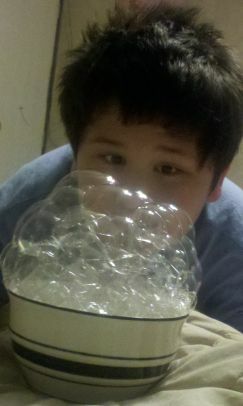 For my son's birthday yesterday, we did a variety of fun activities. One of the things we did was make a ball. There were several requests on how to do this so I am sharing this today. 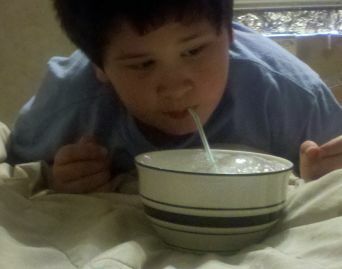 In the first bowl, pour 2 T. of warm water in it and then stir in the Borax powder. Borax is in the laundry aisle of most stores. 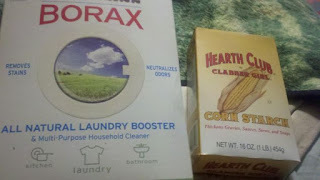 I use it to make my own homemade laundry detergent and dishwasher detergent so I always have a box on hand. Next stir in 1-2 drops of food coloring. I have 2 boys so I used blue. In the other bowl, pour the glue in. I used just plain old Elmer's school glue. Then add 1/2 tsp. of the borax solution (stuff you mixed up in the 1st bowl) and the cornstarch. Wait 15 seconds before stirring. Once 15 seconds has passed, start stirring it up. 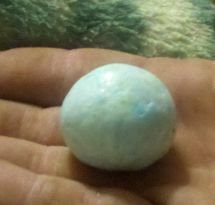 Once it becomes impossible to stir, pick it up and start rolling it around in your hands to shape into a ball. At first it is really sticky but that will change quickly. Once it is no longer super sticky, you can bounce it. This ball will not do any super high bouncing or anything but we got ours to bounce off the floor about 2 feet and then it would do a bunch of little bounces from one drop. For a ball you make out of household items, we were pleased. Once you are through playing with it, store it in a ziplock bag. We are so excited. Remember back in March, we purchased some baby chicks. Well, they grew up and one of them was a rooster. :-) Today, we had an egg in the nest. This afternoon there was another one. One of the Rhode Island Red's is a laying! I can't wait for the baby chicks. We have had chickens for quite some time now. We bought our starter flock from a family in Arkansas. In fact, today, August 7th, we have had these girls for exactly a year now. They were all 18 months to 2 years old and were all layers. 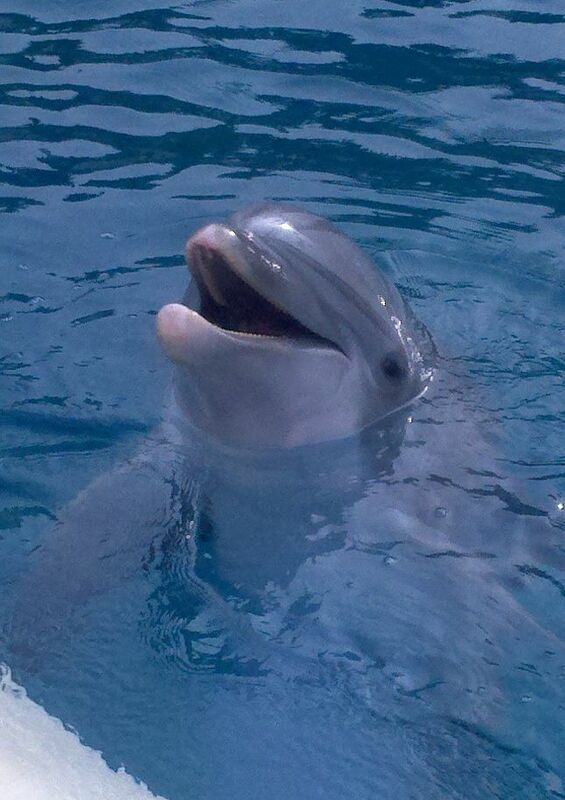 They have given us some wonderful eggs this past year. Actually for the past 2 weeks we have barely gotten an egg and found out why2 nights ago. A 4 foot long poisonous, black and red snake was in the coop eating an egg. It is now dead and we are getting eggs again. The daddy is a White Polish Crested Rooster and the momma is a Rhode Island Red. We also have a Plymouth Rock female, another Rhode Island Red, and a Rhode Island White in with this rooster. I am excited to see they babies to see their coloring. I will take some pictures soon and post them of how chickens. Our blue silkie is soooo gorgeous and "Top Notch" the rooster is beautiful. The cool thing about him is he has bright purple on his wattle. Very cool. My hubby loves pumpkin. I make him pumpkin pancakes, pumpkin pie in a bowl (for breakfast), pumpkin chocolate chip coffee cake, pumpkin muffins, pumpkin breakfast cookies, etc. 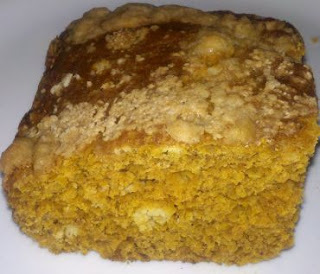 He loves this coffee cake. It is not too sweet and is so delicious. I made it for him again last night so decided to share the recipe with you all today. For the topping you will also need: 1/2 c. brown sugar, 1/2 c. flour and 4 T. melted margarine. Preheat the oven to 350 degrees. Grease a 9x13 cake pan. In a large mixing bowl, mix the ingredients together. Do not over mix; just until blended. Pour into the cake pan. In a small bowl, mix the topping together. Sprinkle it onto the cake batter. Place it into the hot oven and let it cook for 28 minutes. Test to see if it is done by sticking a toothpick into the middle and if it comes out clean it is ready. If not, cook a few more minutes. A nice cup of my Countrified French Vanilla Coffee would go great with this! I have had many requests from people wanting to know how to make your own fabric softener. I have previously posted how to make your own laundry detergent and how we do laundry in the country (hint: we do not use a washing machine). Anyway, here is how I do it. Let me tell you, it is VERY, very simple. I love how soft my clothes come out and they smell so lovely too. You can use a different scent of conditioner but I have always used Suave and this scent. 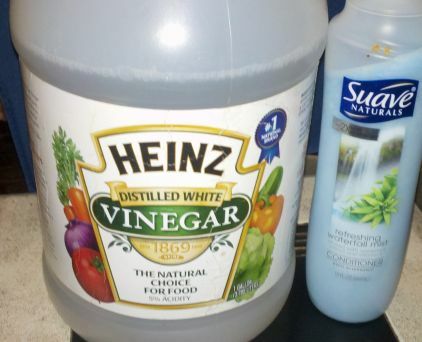 Mix the conditioner and the hot water together and stir until the conditioner is completely dissolved. Stir in the vinegar and mix well. We store ours in a 2 liter bottle but you can use an old fabric softener bottle or whatever you have lying around the house. Just be sure to mark the bottle accordingly. Add the mix into a Downy ball or just add 2 T. into your rinse cycle. Be sure to check out my post about line drying in the winter time! I have blogged in the past about how I only shop once a month. I have been asked a lot of questions but one people keep saying is "I would love to see that". Well, here you go. 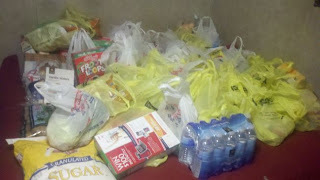 This may not look like a lot of groceries but mind you, this is a KING sized bed and it is full from side-to-side and end-to-end. I drive an older Mercury Sable and my trunk and back seat were full and I had to call my mother-in-law to meet us at the store because I had no more room in my car. We filled up her trunk also. I usually am not able to get this much but I found a LOT of sales. 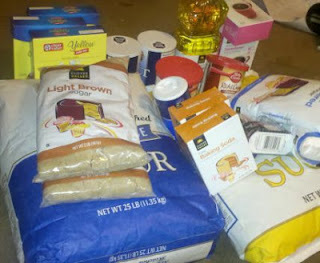 I spent the exact same as always but got more (We live on a strict budget). These are the baking supplies I buy for a month. Some months I buy more of one thing and other month's I buy less. I actually ran out of brown sugar and powdered sugar last month so I bought 2 bags a piece this month. I also bought a 25 lb. bag of flour and a 25 lb. bag of sugar this month. Again, I usually do not buy that much but after all the good sales I found, I had extra money and I like to stock up when I can. I know that looks like very little produce but we do have a garden. We also do our own canning and dehydrating so we did not buy much produce this month. 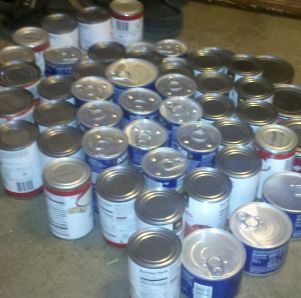 This is the canned goods we bought this month. That is mainly soups, etc. I did not buy any canned veggies this month. I could not find any on sale and we have plenty still on the shelves. If I had found some on sale, regardless of how many I had back stocked, I would have bought more. 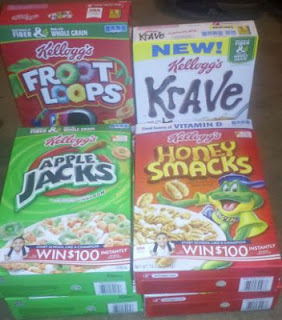 We bought a total of 7 boxes of cereal. I have one little one that does not eat omelets, breakfast burritos, breakfast quinoa, etc. so he eats a lot of cereal for breakfast instead. Please do not write me and complain about the sugary cereals I purchased. 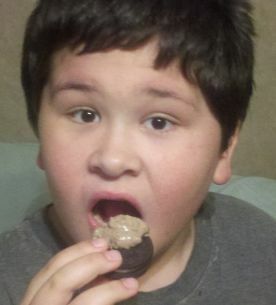 We try to eat healthy but if he won't eat it, I am not going to waste my money. 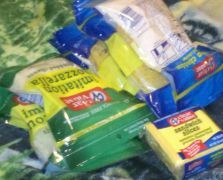 There are 2 bags of mozzarella shredded cheese and 6 bags of shredded cheddar cheese and one pkg. of sliced cheese. We use a lot of cheese in the baking that I do. Cheese makes everything better. :-) I have at least 5 other packages of shredded cheddar already in my freezer because last month they had them 50 cents a bag (yes, you read that right) and I bought a BUNCH! 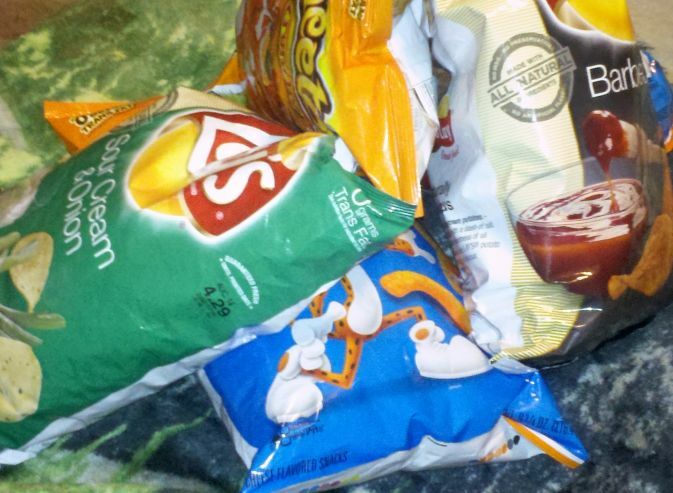 Again, I know potato chips are not the healthiest thing to buy but we do not eat them as a snack. I have MS and we eat soup and sandwiches for one meal a day and I let everyone have potato chips with their sandwiches. I bought 6 bags to last the month. 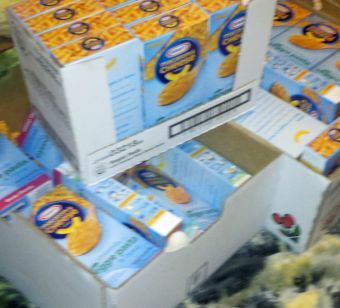 We do eat a lot of soup, yes, even in the summertime so we need crackers. 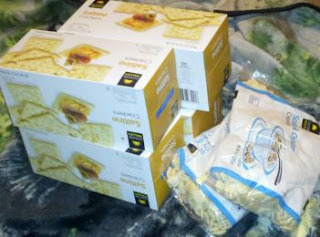 I bought 4 boxes of regular crackers and the oyster crackers are for when I cook chili. 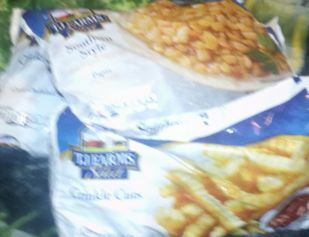 I use hashbrowns in a breakfast casserole and the french fries in a supper time casserole. This is the meat I bought for the month. 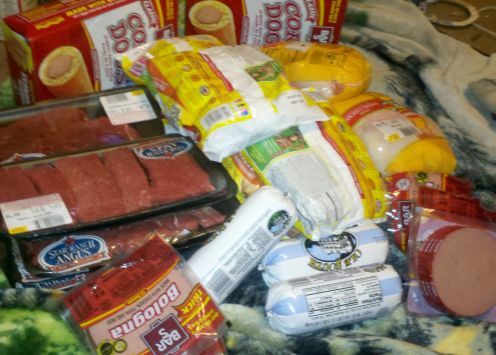 Four packages of lunchmeat for our sandwiches. Two whole chickens, lots of round steak (we make steak fingers, etc. ), it was on sale. 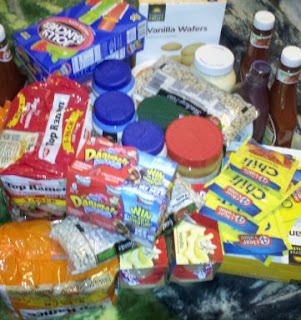 I bought those packages you see on the left middle for $2.00 or less a package. Three packages of sausage (on sale for $1.98 a pkg.) and misc. other things. The corn dogs were an added purchase because of all the sales I could buy a treat for the family. Yes, I bought a lot. Fifty-four boxes in fact. They had these on sale again this month for 3 boxes for $1.00. How can I pass that up?! Add them to the ones we bought last month and did not eat all of we now have 92 boxes of the stuff. They taste good and make a great side dish. If we eat one a day, then we have enough for the next three months. Good shopping I think. (Yes, the store still had plenty when I left. As I already said, they had these on sale since last month so people have had sufficient time to buy some if they wanted some). Normally even generic brand costs 2 for a $1.00 so this is an awesome purchase. 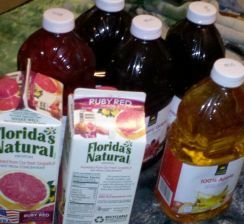 Five bottles of juice and 2 things of grapefruit juice. I normally don't buy grapefruit juice but these were on sale for 50 cents each. Naturally, I bought 2 of them. Not our favorite to drink but a coffee cup size for breakfast will be a nice change. I give my boys one glass of juice a day so these should last a month. 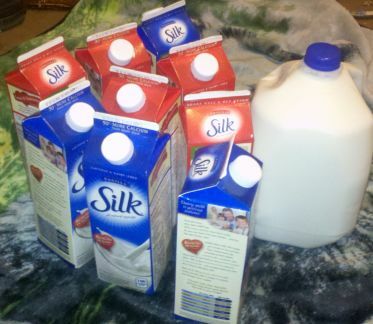 We normally do not buy soy milk but the store had these on sale for 50 cents a piece. They are one quart size so basically just $2.00 a gallon. WAY cheaper than regular milk. Even if everyone in the house does not like the taste, I can still use it in cooking, etc. There were actually 3 more of the Silk Milk that is not pictured here. So I bought a total of four gallons. We freeze our milk to last the month. I have 2 more boxes of milk still from last month, another gallon in the refrigerator and 2 more in the freezer. We also keep powdered milk on hand in case of emergencies. This is a shot of misc. items. Peanut butter, creamer, spices, beans, etc. You get the idea. We are Southerners and love our taters. 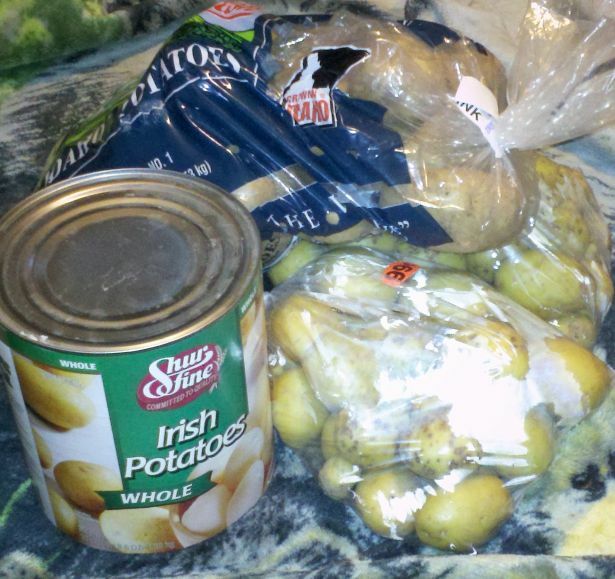 The smaller bags of small, new potatoes were on sale for 99 cents a bag. I still have 5 lbs. of potatoes left over from last month. We did not get too many taters from the garden this year so have to supplement it. A 5 lb. 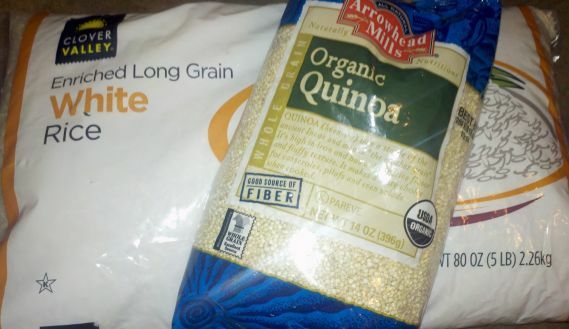 bag of rice and a bag of quinoa. We use rice for burritos, side dishes, breakfast, etc. The quinoa I use to make breakfast quinoa. 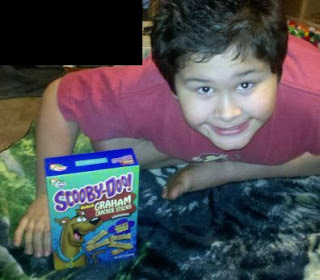 My son was THRILLED that I bought him a box of "Scooby" snacks. We had a little extra and he helped so much at the store I couldn't deny him this purchase. Thanks for allowing me to share with you!